Getting through life with Cerebral Palsy while having fun in the kitchen. Hey there, thanks for stopping by today. The holidays will be here soon, so it’s time to start thinking about gifts, meal planning and just enjoying your family while not being in the kitchen cooking all the time. As some of you may know Tastefully Simple offers gourmet food items that help you ease the worries of what to cook. 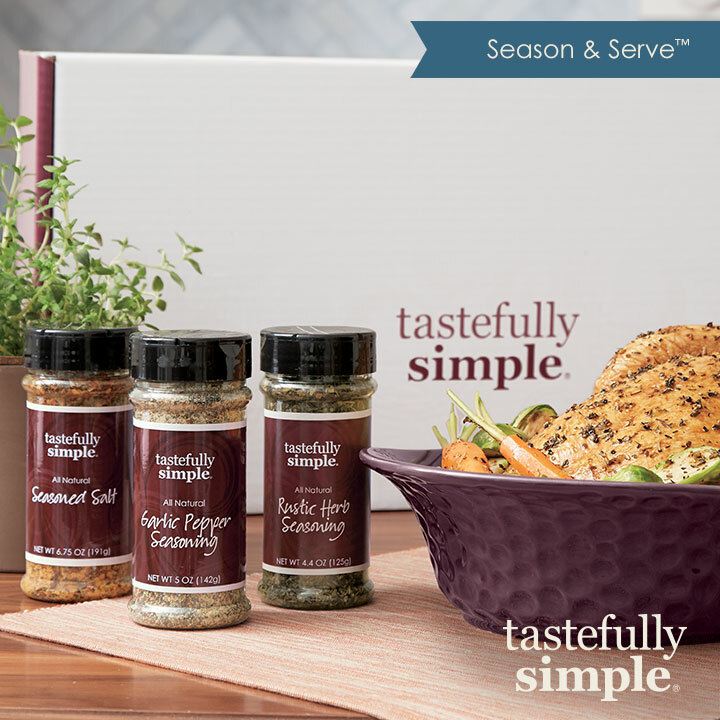 This week our taste Test Tuesday item is a gift set from Tastefully Simple ‘ Season & Serve’. In this gift box you will get Seasoned Salt, Garlic Pepper Seasoning, Rustic Herb Seasoning and a pretty honeycomb textured eggplant baker. Each of these products is great on its own so for Tastefully Simple to put them all together in a gift set is a great idea not just for the holidays but it makes a great housewarming gift. Or you could just get it for yourself. Each of these seasonings are great staples to have in your kitchen. You don’t have to use much to get a great flavor and they are very versatile. They are available separately as well, so don’t think you can only get them from this gift set. TS Returning Favorites Are Leaving June 30th! A writer who loves to share her experiences in the kitchen. What’s Going On In the Kitchen? Copyright © 2019 Southern Roots Kitchen | Wordpress Theme by Theme Fashion.